Retail price is $12. Published October of 2013. 5 x 8 inches, paperback. 106 pages. Authored and illustrated by Alejandra Reuhel. 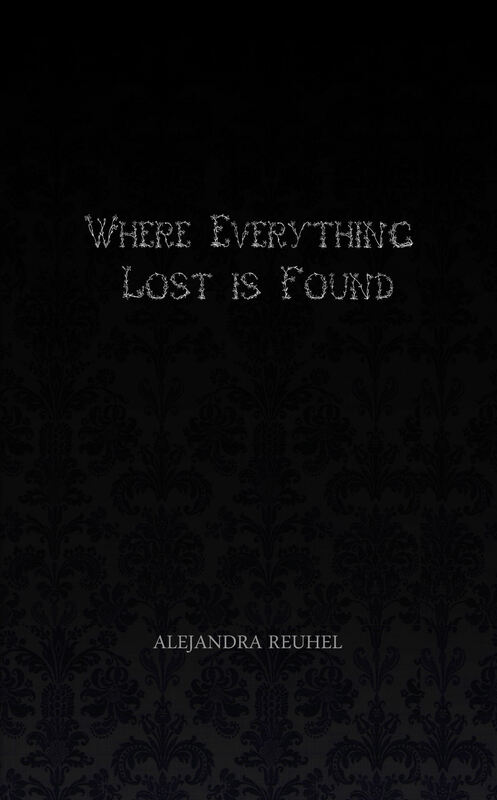 Where Everything Lost is Found is available to order. Although the book is available elsewhere, buying directly from us helps us save on comissions from bookstores, and they are handled and packed with love and care, with subVERSE extras. Order here and help us cover publication costs! With vibrant scenes done both in word and in ballpoint pen sketch, Where Everything Lost is Found paints a portrait of the emerging adolescent suddenly finding themselves lost within life - and the journey back to being found once more. Alejandra Reuhel spins her poetic tales in four parts. Four places where one might find themselves lost: in memories, such as the loneliness of lost but treasured memories woven in Fish; in regret, painted hauntingly in the reaching out for a lost mother-figure in Mother; and in the practiced and steady rhyme of ecological mindfulness as is told in Cloudspeak. Poems interlaced with sketches belying hidden meanings, Where Everything Lost is Found is both an easy and psychological read, one that begs questions to be answered - answers that are found within oneself, lost and to be found, on the journey through this compendium.